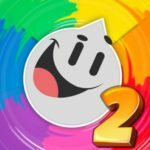 Trivia Crack Kingdoms should be familiar to those who have played Trivia Crack before – this is, of course, that game’s follow-up, and it’s now here for Android and iOS device owners alike. 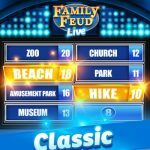 This game allows you to challenge friends and family or random people from all over the world in trivia quizzes covering a number of topics. 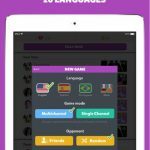 You can see what questions your friends are answering and see if you can beat them at their chosen expertise, and choose from a wide range of trivia channels; whether you’re a sports expert, always up-to-date with current events, or more into music or entertainment, there’s something for you here. You can also make your own channel based on your interests and invite people to play in there. If you’re new to Etermax’s Trivia Crack series, we’ve got what you need to ease yourself into the game; check out these Trivia Crack Kingdoms cheats, tips and tricks. By clicking on the channels area, you’ll see all the possible channels you can compete in. But to make things easier, you can make use of its search feature to find a channel based on your skills and/or interests. Once you find one, feel free to challenge your friends who share that interest, or challenge random strangers if you don’t know anyone personally who’s into that interest. You wouldn’t want to be facing someone who knows nothing about Game of Thrones, for instance, when you’re familiar with both the books and the TV series. Go to the Profile tab located at the bottom so you can make your own channel and add some questions. Keep on adding questions until you believe you’ve got enough to make that channel worthwhile, but be careful that you aren’t infringing on anything; Trivia Crack Kingdoms will crack down on you, no pun intended, and reject your channel if it does. 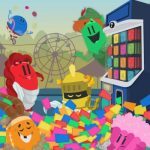 One new game costs one unit of energy, regardless whether you win or lose, regardless whether you’re starting the game or accepting someone else’s challenge. But if you’re continuing an existing round, you won’t lose any energy. Sadly, you’ll have to wait for your energy to refill (that’s one hour per unit lost) or buy more with real money; the game doesn’t support the time lapse cheat. If you ask us, that’s not an ideal situation, given the time it takes for energy to refill, but it’s a necessary evil you’ll have to deal with. Out of the nine boxes in Trivia Crack Kingdoms, one will contain the King. You have to answer his question correctly to win a crown, and after that, you’ll need to win four more for a total of five before your opponent does. That means there’s a chance you’ll get the king right away with the first box, and also a chance you may get him on the last. Do you know any other Trivia Kingdoms cheats, tips or tricks? If so, don’t hesitate to share them with us!